About the Montville Education Foundation, Inc. The Montville Education Foundation, Inc., (MEF) was founded in 2006 when then Assistant Superintendent, William Hull gathered together a diverse group of business leaders, community members and educators to an informational session. Mr. Hull recruited volunteers from that group who then became founding members of MEF. They started the long process with a blank slate and with guidance from the Connecticut Consortium of Education Foundations, the benefits have outweighed the effort. MEF raises funds from individuals, businesses and civic groups in the community as well as alumni. Through community support and healthy leadership, MEF proudly awards $10,000 a year in grants to the community as a whole. The all-volunteer MEF Board of Directors represents a broad spectrum of the community. 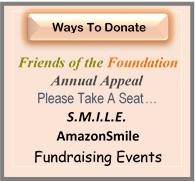 A 501 (c)(3) non-profit, tax-exempt organization, MEF fundraises to support a variety of exemplary community based education projects, programs and initiatives. Contributions made to MEF remain in our community to enrich the lives of learners of all ages. MEF is a non-political entity cooperating with, but working independently from, all schools, public and private, The Montville Board of Education and The Town of Montville. Representatives from the Board of Education and Town of Montville serve on the board in an ex-officio capacity. Through the Grant Program, MEF supports educational projects, programs and cultural arts initiatives that go beyond the town budgets that are relevant, creative, inspiring and effective. Proposed projects and programs submitted by the community/schools should have a definable value. Applications are annually reviewed in two cycles, April and October. Grants are awarded based on the criteria set forth by MEF. Montville’s strong school system is an important asset to our community. However, public tax dollars are limited, and as a consequence resources to enrich our educational opportunities are limited. MEF recognizes that learning is a lifelong process and that presenting educational opportunities to residents of all ages has a benefit to our community as a whole. Through our fundraising efforts and grant program, MEF provides resources to enhance and enrich educational opportunities for all learners, supporting excellence in education. Where Does The Money Come From To Support The MEF Mission? The entire MEF budget is raised privately from sources committed to excellence in education for our community. Donors have a variety of options to make contributions and MEF has fundraising events throughout the year. How Does Montville Benefit From MEF? MEF believes education goes beyond the classroom, involving learners of all ages in a variety of settings. The grants funded will have high-quality educational content, reaching the greatest number of individuals as well as the greatest number of groups in the community. Each proposal shall be evaluated for its potential impact on the community as a whole and for possible avenues for collaboration between the applicant, existing community groups and other sources. The Montville Education Foundation, Inc. is a non-profit corporation established for the purpose of promoting excellence in education within the Montville community by providing financial support for educational opportunities and programs for residents of all ages.